Most people run away quickly from the fuzzy yellow and black, buzzing ball in the sky. Yes, we’re talking bees here. For such a small creature, we are so afraid of them. For good reason, though…I mean, ouch! It hurts to get stung. What many people aren’t aware of, however, is the integral role that bees play in our ecosystem. 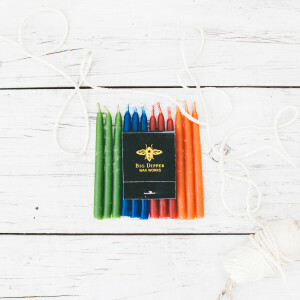 In the May box, we included a set of beeswax birthday candles from Big Dipper Wax Works, a company that sources a majority of its beeswax from British Columbia. 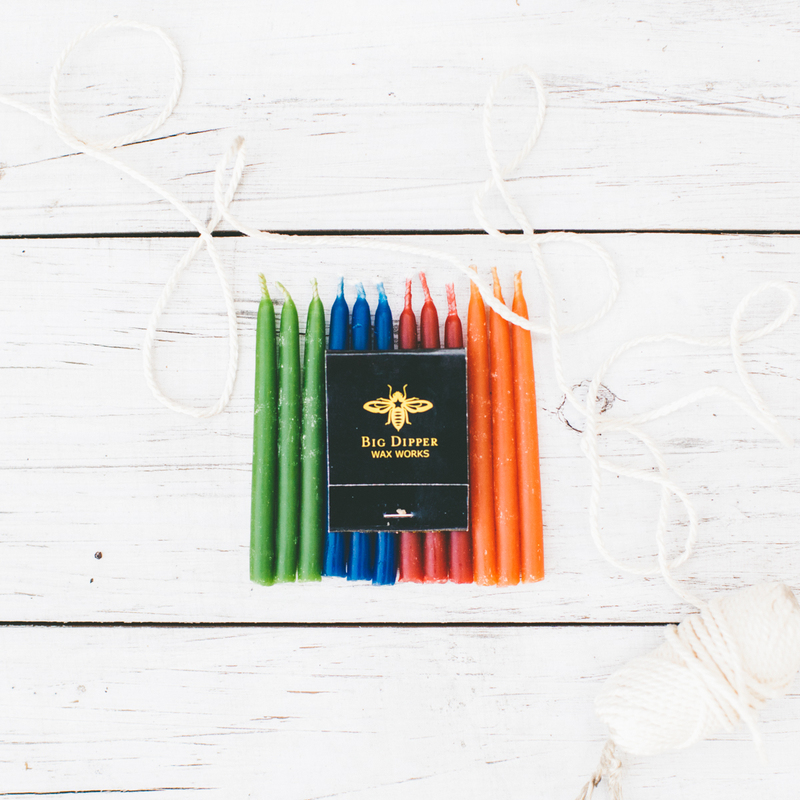 We learned so many interesting things about bees and beeswax that we wanted to share our new knowledge with you! More than 85% of the plant species on earth require bees and other pollinators to exist. These plants constitute some of the most nutritious parts of our diet. When the supplies get low and pollen is scarce, bees are known to eat their hive mates. Yes, we’re talking cannibalism here. Honeybees communicate with one another through dancing: where to find food, housing, etc. 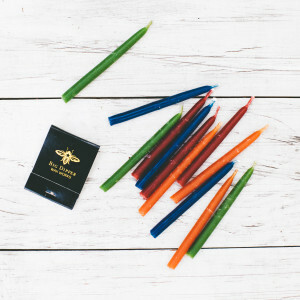 Beeswax candles have a 100% clean and non-toxic burn. They also produce negative ions (charged molecules) while burning, which help to relieve stress, boost energy and alertness levels and protect against germs. The amount of negative ions in the air is dependent on the environment. For example, 100,000 negative ions can be found in Yosemite Falls whereas your home or office may only have 100. That’s why being in natural surroundings makes us feel so great! The average worker bee produces around 1/12th teaspoon of honey in her lifetime. Queens are a real thing! When a colony becomes crowded, the bees elect a new queen bee and she then produces chemicals that influence and guide the behavior of other bees. With 170 odorant receptors, bees have a keen sense of smell. They use these receptors to recognize different types of flowers and to communicate within the hive. Beeswax has many benefits due to its anti-inflammatory, antibacterial, anti-allergenic and germicidal antioxidant properties. It also protects against dry skin. Every colony has a different scent so that bees can recognize where they live. Next Post Welcome to Our New Blog!